This holster is made to wear with a gun belt inside the waistband at the 4-5 o’clock position. 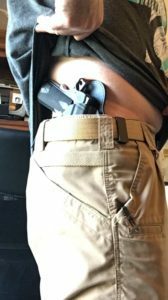 It is critical to secure any concealment holster to a belt that is made for carrying a gun, or at the very least, an extremely stiff and strong belt. Alien Gear Holster properly secured to gun belt. I recommend a 1.5″ belt, such a the 5.11 Trainer belt, which is what I wear and is what you see in the pictures. If you use a standard belt, it will sag under the weight, and potentially allow the gun to flop around and come out when you do not want it to do so. 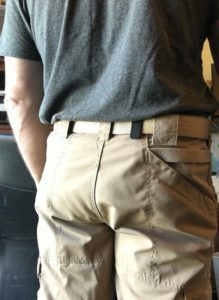 The concealed carry clothes you wear will depend on your particular build and the size of the gun you are going to carry. I mostly carry a 1911 with a 4″ barrel and full size stock (grip) and I typically wear an un-tucked loose fitting T-shirt. Obviously, the smaller the gun, the easier it is to conceal, but you should carry the gun you train with, or putting it another way, you need to train with the gun you carry! 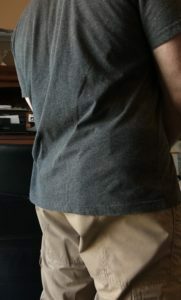 When it is cooler out, I like to wear a tucked in T-shirt with shirt between the holster and my skin, and then throw a button down long sleeved shirt over top of everything. Yes, the gun and holster are under there! It is possible to tuck in a T-shirt or nicer dress shirt. It is a little bit tricky to do it to get it to look right, but it definitely works. T-shirt tucked in around the holster. 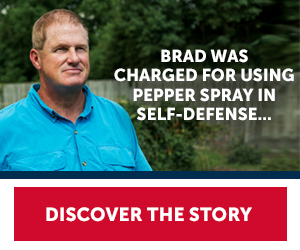 with a black belt, it all but disappears. It all becomes easier in colder climates when sweatshirts, light jackets and sweaters can be worn. These garments can easily keep your concealed carry gun out of sight. Carrying a handgun in a concealment holster tends to be hard on your clothing. Although the Alien Gear Cloak Tuck holster does not have any sharp edges, the mere fact that there is a hard steel (or hard plastic, for Glock and XD owners) rubbing up against cotton or other concealed carry clothing material, over time, the clothing is going to lose. This is especially true if you sit in a vehicle a lot while carrying. You must train for the way you will carry you gun. You need to practice getting the gun out quickly from under the clothes you are wearing! 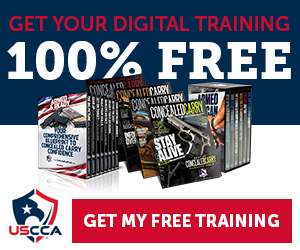 Only practice will give you the tactical advantage you need in a high stress situation. You should learn to draw your pistol using two hands as well as one hand to uncover and draw the weapon. If you do not practice, you may fumble when it counts and get hung up on the clothing that conceals your carry gun.